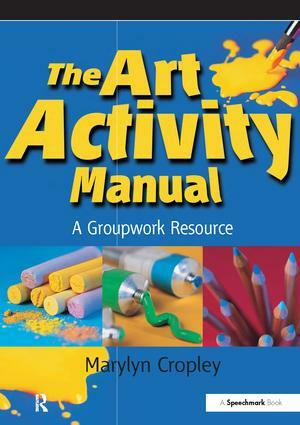 A simple, flexible and practical approach to art activities, this book enables group members to explore and discover their own level of artistic skills, creative styles and preferences. The activities can be used by anyone, regardless of art ability, and there are more than 100 ideas and suggestions with detailed session plans. Based on 'doing and enjoying', the activities use the minimum of equipment and can be adapted to suit people with mixed abilities and level of need. Specifically designed for adults with learning disabilities, physical disabilities and sensory loss, people with mental health needs and older people, the activities can also be used by teachers and individual artists. Art is a powerful intervention and communication tool, and these activities can also be used to improve communication skills, build confidence and self-esteem, and develop self-awareness. The practical and non-prescriptive approach of this photocopiable book is ideal for all group facilitators who need a quick and easy way of using art activities therapeutically. A4 (297 x 210), 248pp illustrated Wire-o-bound ISBN 978-0-86388-431-3 ORDER CODE D11-002-5141 GBP38.99 Introduction; Part 1: Preparation; Part 2: Session plans: Introduction; The world of art; Exploring shape and forms; Exploring lines and patterns; Exploring textures; Exploring light and dark; Exploring colour; Composition and perspective; Exploring mixed media; Printing; Collage; Drawing; Paintings; Finished work; Evaluation; Part 3: Project ideas.